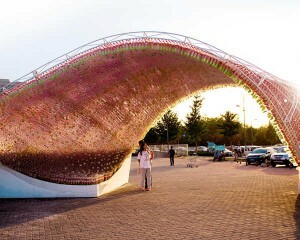 The cola-bow is a public art installation made out of more than 17.000 recycled plastic bottles, which were braided to create a shape inspired by the swings of the Coca-Cola logo. Upcycled bicycle parts are transformed into new products that makes them even more eco-chic. Het Europees Parlement (EP) stemt morgen in plenaire zitting over nieuwe geluidsnormen voor wagens.